A computer virus is designed to infect computer files through self-replication, and is able to infect other computers on its own. 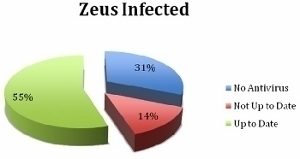 Viruses infect computers through boot sectors of portable drives, email attachments, other files, and by exploiting vulnerabilities in instant messaging and other real-time communication systems online. Not all computer viruses harm computers, but many steal the user’s private information. Although every computer virus is designed a bit differently, there is a common method of removing viruses from computers. Removing viruses, though technical, is yet a very simple process if all the required steps are properly followed. A safe way to remove viruses is to use a bootable antivirus CD (containing the latest definitions) to scan the drive. Alternatively, you can attach the drive to a friend’s computer that has an antivirus installed (with the latest updates) and perform a full disk scan. What is Antivirus program? An antivirus is a program that searches for, identifies and removes potential viruses existing in the computer system. You can find about more free antivirus software here. The antivirus software should be updated regularly to retain its effectiveness. Before installing the antivirus, close all open applications and terminate any suspicious processes using Task Manager. Sometimes, you may need to boot into safe mode or safe mode with command prompt to delete suspicious programs and references to them in the Windows Registry (run regedit from the command prompt to open the registry editor). 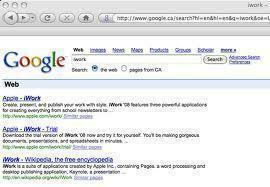 Search engines are excellent tools to find out whether a certain process is harmful or not. You can also get steps on how to remove a specific virus manually. Removing the virus beforehand might be necessary, as some viruses will not allow an antivirus to operate. However, if you are not successful, you may still continue with the installation. Usually, the antivirus will run automatically when the system reboots after the installation. Therefore, it might identify the virus automatically. 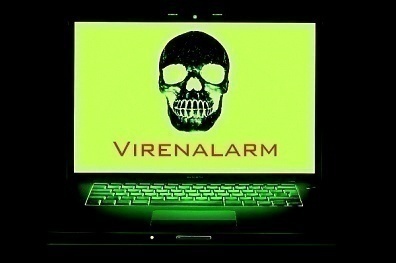 Moreover, you may want to run a quick system scan to locate the virus. After the antivirus identifies the infected areas, the next step is to rectify those areas. Removing the virus – When the virus can be easily identified and can be removed without affecting other files, then the antivirus removes it from the host place. Quarantine – his is done when the virus cannot be easily identified removed from the file and the removal of virus means the removal of the complete file. In this method, although the virus is not eliminated, it is rendered inactive by moving the file into “quarantine” and renaming it. Even after the virus is removed from the system, the next step is to scan the whole system to ensure that no infected files remain. Step 2 – Disable System Restore on the computer. To do so, select “Start” and “Control Panel” then click “System and Maintenance” and “System.” Click “System Protection” and clear the check box next to the hard drive label. After the virus is removed, follow these steps to turn System Restore back on. Depending on the version of Windows, the method of turning the application off may vary. Step 3 – Delete the .exe and .dll files from the comptuer. These files are usually located in the c:windowssystem32, c:windowssystem, or c:windows folders. Typically, viruses will have their name in some variation in the file name(s) to delete. Step 4 – Remove virus registry keys from the computer by using the REGEDIT application bundled with the Windows Operating System. To access the registry editor, select “Start,” “Run,” and enter “command” in the subsequently displayed search text field. Type “regedit” at the command prompt then press “enter.” Enter terms related to the virus name and delete related registry entries made by the virus. Step 5 – Turn System restore back on, then restart the computer normally. What if the Antivirus Fails? Take a backup of the entire data. Format the infected disk partition. In case the entire system is infected, the system will have to be reinstalled. Install the antivirus and the latest updates. My Virus Removal is a website that offers free virus scanning and removal options for many frustrated users. My Virus Removal allows users to choose a specific situation and then access software that is designed for that situation. My Virus Removal is more than a simple list of programs, however, as it also includes detailed information about specific issues and walks the user through using the software that it recommends. 203 queries in 0.494 seconds.